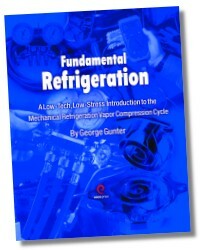 Refrigerant pressures, states and conditions are covered, as well as how they apply to the refrigeration system. Vapor pressures, subcooling, superheat, saturation, latent heat, and sensible heat are explained and applied to the refrigeration cycle. Basic system components, their functions and applications are included. 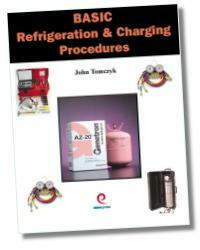 Detailed explanations of each point in the refrigeration cycle will clarify questions the reader may have. Definitions and system applications of subcooling and superheat are also included in this module. Condenser subcooling, total subcooling, evaporator superheat and total superheat are explained with examples as they apply to the basic refrigeration cycle. Friction and static pressure losses, with examples and applications, gives the reader a thorough understanding of how much subcooling is needed in any system. Advanced topics such as; liquid pressure amplification, superheat suppression, floating head pressure, and refrigerant control systems are included. This module includes a detailed explanation of refrigerant metering devices which include; thermostatic expansion valves, automatic expansion valves, and capillary tubes. Application, sizing, and troubleshooting under varying system operating conditions are explained. System charging procedures as they apply to these various types of air conditioning and/or refrigeration systems are included. Charging charts and charging curves with examples of system applications give the reader a thorough understanding of system charging when reading this module. 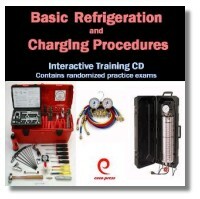 This interactive CD-ROM is an excellent training tool that fully describes and explains the refrigeration cycle. The CD contains information on refrigerant pressures, states and conditions as well as how they apply to the refrigeration system. Vapor pressures, subcooling, superheat, saturation, latent heat, and sensible heat are explained and applied to the refrigeration cycle. Basic system components, their functions and applications are included. Each point in the refrigeration cycle is explained in detail.